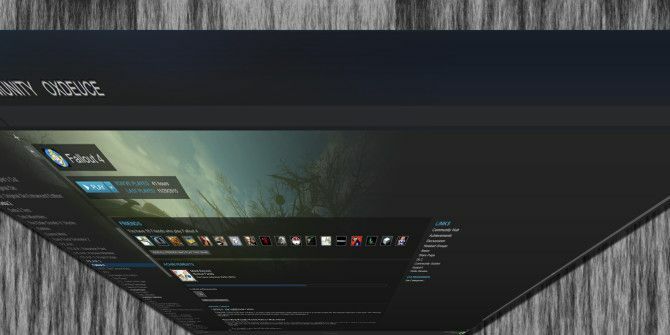 For the longest time, once you downloaded a game from Steam How to Install Steam and Start Gaming on Linux How to Install Steam and Start Gaming on Linux Installing Steam on Linux computers is straightforward, and the result is usually the same seamless gaming experience you had on Windows. Read More , you owned it forever. For most people, just ignoring a game is easy enough. You can just go about your gaming schedule 5 Ways to Stay Healthy During a Long Gaming Binge 5 Ways to Stay Healthy During a Long Gaming Binge Most people don't need to worry about their health while they're playing games, but going on long binges does require a bit of forethought to make sure you stay healthy Read More and ignore it. But sometimes, you just want a game gone. If you suffer from having games like this in your library, here’s how to get rid of them for good! First, go to the game in your Library and click on it. On the right side of the game’s page under the Links section, click the Support link. This will take you to the game’s support page, where there are all kinds of options for issues with a game. The important one for our needs is on the very bottom. Click the button labeled I want to permanently remove this game from my account. A page will launch asking you to confirm your choice, and then it will be gone forever. Just remember, that you’ll need to buy the game again if you change your mind down the road, so really think your choices through! Do you have any Steam games you want to delete? Tell us what games and why in the comments below! I'd pay a lot of money to play a small number of games without being forced to use Steam. GoG.com gets game distribution right. I don't want to delete Steam titles, just divorce them. I want to be able to install and play the copy of Half Life 2 I paid for a dozen years ago without having to play mother-may-I with Valve. That's the problem that needs to be fixed.